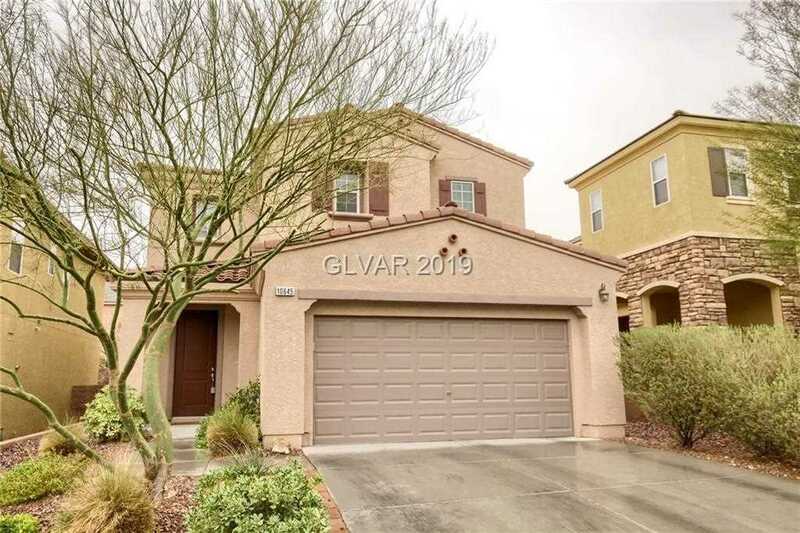 Come See This Beautiful 4 Bedroom Home with Open Kitchen to Family Room, SS Appliances, Large Pantry, Island, with Downstairs Den located in Providence, Northern Terrace and Enjoy the ClubHouse, Pool/Spa, Exercise Room all within easy access and close to freeways, Dining, and Shopping. Downstairs is all Tile/Wood Laminate Flooring. Low Energy bills with this Energy Efficient Home with Leased Solar System and tankless water heater. SchoolsClick map icons below to view information for schools near 10645 Mount Jefferson Ave Las Vegas, NV 89166.